We Know Shipping Pontoon Boats! pontoon boat moved anywhere in the world. When it comes to your pontoon boat, only premium shipping services will do. You need to know that your pontoon boat is being well-taken care of during the shipping process. When you trust the professionals at Nationwide Boat Shipping, you can relax, knowing that your pontoon boat is getting the best service and care in the industry. We will also take care of getting all needed permits and escorts for the trip. Let our experience be your advantage, whether you are shipping your pontoon boat across the state or across the country. 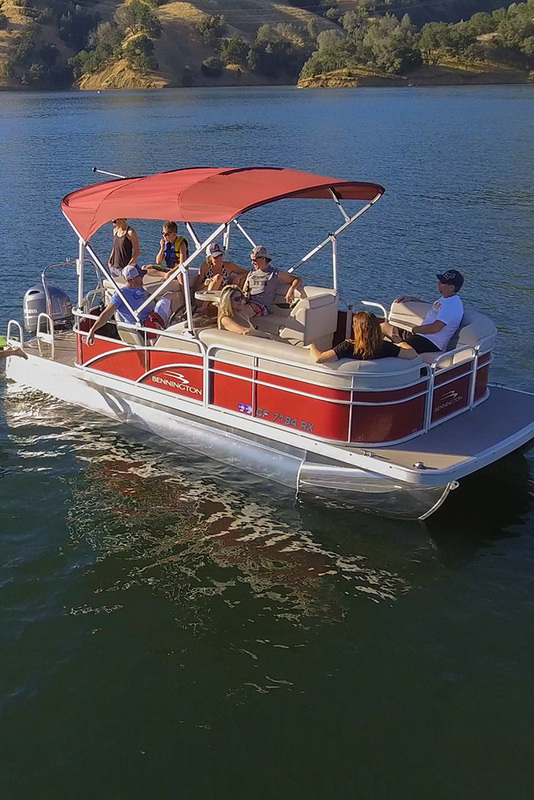 Pontoon boats are a popular entertaining choice for boat owners, mainly because of their large surface area. When shipping your pontoon boat, there are some preparation requirements that need to be taken care of before the trip begins. For instance, all hazardous materials must be taken off the boat, along with all personal items. In addition, any loose cables and gear need to be removed and secured for shipping. Nationwide Boat Shipping specializes in getting vessels safely to their destination. We know how to get your pontoon boat properly prepared for transport, so it is protected for shipping. Call (800) 352-8475 to talk with one of our logistics professionals for a free no obligation quote today! Let your imagination guide you! No matter where you want to go for your next open water adventure, Nationwide Boat Shipping will transport your pontoon boat for you. Keep the party going, whether you are traveling a few miles or through a few states. Your pontoon boat will be in the hands of professional boat shipping specialists throughout the entire process. And our competitive pricing means you can take the party out on the water more often. "Nationwide Boat Shipping took our pontoon boat from the Great Lakes to Gulf of Mexico without any issues! I apprecaite the job well done! Thanks!" "I am so pleased with the job Nationwide Boat Shipping did - they are the only choice when you have a boat to be transported!" "I have found the best transport company in the industry! With reasonable quotes & excellent service, Nationwide Boat Shipping are the only choice."